As a supply chain manager, your concern is the efficient control and movement of product within a specified budget. Have you found yourself reviewing your current warehousing solution and concluding it no longer meets your existing business needs? Does product get damaged, lost or unaccounted for in your inventory management system? Do inaccurate inventory counts and other inventory-related issues persist? Does your on-premise warehouse management software no longer meet your logistics needs? Through decades of experience at Biagi Bros, we know that the underlying causes of many warehousing problems have a lot to do with the lack of sufficient resources, from time and manpower to technology. While it’s true that technology is transforming warehouses worldwide, technology isn’t a panacea. Your company needs the right set of technology, which is actually a combination of high-tech and low-tech tools and processes. The goal is simple; technology should support a high-performance warehouse facility. Our state-of-the-art warehouse management system, equipped with full RF and lot control capability, ensures accuracy and efficiency of your warehouse tasks and inventory control operations. Shipments get done right and fast so you’re able to focus on your core business. We have many other tools you need to efficiently handle inventory and order status, order entry and import, data export, reporting, and KPI analysis. You may have tried to manage these functions in house, but at some point it becomes beneficial to outsource these to another company. 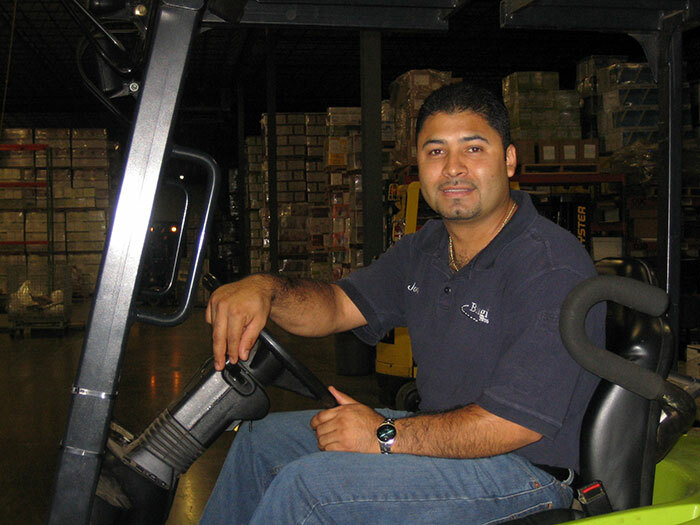 At Biagi Bros, warehouse management is what we do; it is part of our core business. 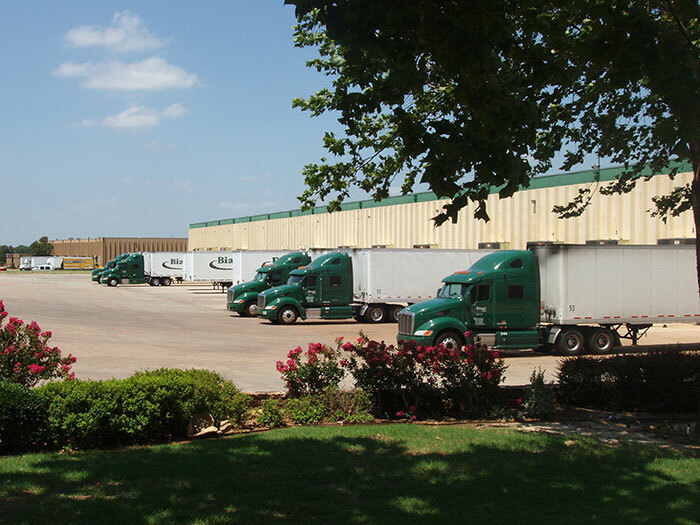 Come visit our food-grade warehousing facilities and see how we can help with your business. We understand how challenging it is for companies that have a high turnover rate to attract and keep warehouse personnel and truck drivers. This is especially true if you’re doing logistics in house. There’s a whole range of things your company can do well, but it doesn’t necessarily include non-core activities like logistics. As a 3PL service provider, we understand the importance of retaining the best employees one can possibly get. That’s why we’re extremely selective in our hiring process at Biagi Bros.
You need cream-of-the-crop logistics professionals who take pride in a job well done. We attract those people by carefully screening each of our applicants and continuously training them over the years. 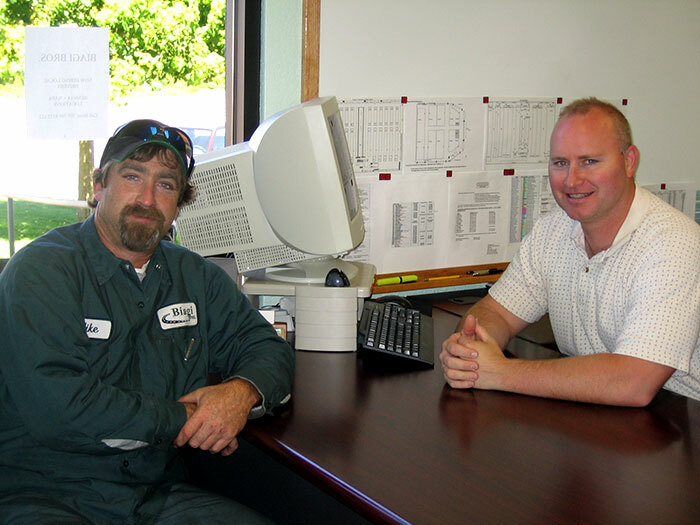 And because our family-oriented culture permeates the company, our customers enjoy the unwavering dedication of the same staff over decades. While wine accounts for about half of our business, our food-grade warehouses are designed to store and manage other commodities as well. There’s a total of more than 3.5 million square feet of safe and secure space. Some of the largest companies on the planet entrust their food-grade logistics to us. Every client is different and we cater to the individual logistics needs of all of them. We anticipate that you will have particular requirements too. You can expect us to handle and store your commodities properly, according to your specifications. Imagine your business growing without barriers throughout North America. In order for this to happen you need strategically-located facilities to allow for quick distribution and pickup. 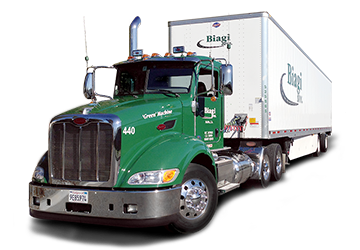 Biagi offers 20 distribution centers with terminals across the nation. All of them are located near major highways and major sea ports. 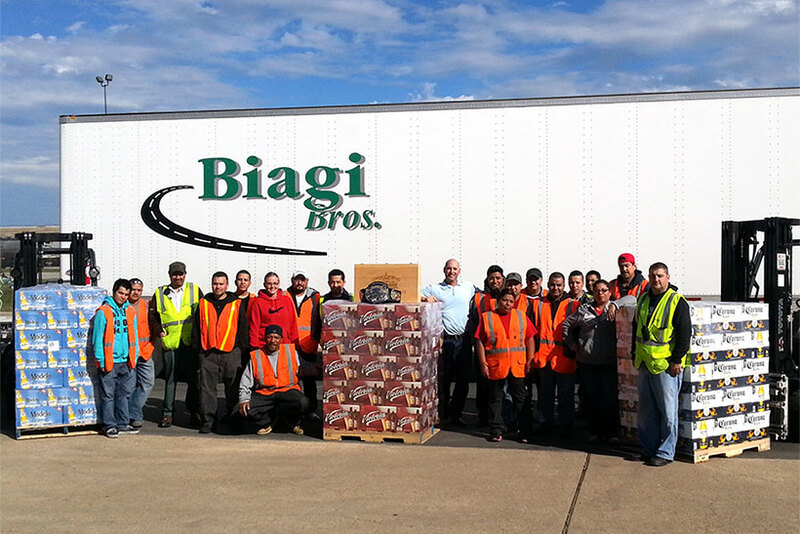 Best of all, 9 of Biagi Bros’ distribution centers provide rail service. We make warehousing management easy, efficient and effective so you can focus on your core business. Do we sound like a good fit for your company? Talk to us or come and visit one of our convenient locations in California (Napa, Van Nuys, Ontario, American Canyon and Benicia) and other locations in Chicago, IL, Auburn, WA, Tucson, AZ, Oklahoma City, OK, Arlington, TX, and Jacksonville, FL. Biagi Bros are specialists in warehousing and supply chain logistics. With over 3.5 million square feet of food grade warehouse across the US we know how to manage your inventory efficiently. Biagi Logistics - where technology and people relate. Arlington, TX Warehouse and Transportation Operation has just been awarded Best Warehouse Operation in the US from Crown Imports for the 2nd quarter in a row. Crown Imports awards the top Warehouse Operation with a Championship Fighter belt. This is in recognition of our Commitment to Excellent Service. The Championship Fighter belt is awarded on a quarterly basis by our importer based on how well you performed against all Crown Warehouse Operations in the US. We were able to achieve a perfect score of 100% 9 consecutive months.